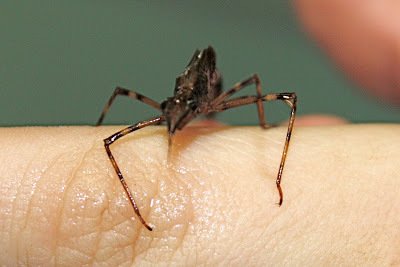 Do you remember this bug from the aquatic insect and crustacean expedition? 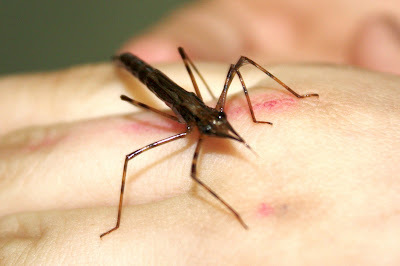 It's been identified by John & Jane Balaban at bugguide.net as Calopterygidae — the larva of a broad-winged damselfly. I have played liberally with the white balance in order to display features of the larva. This post has been cross-posted on Barton Daily Photo.